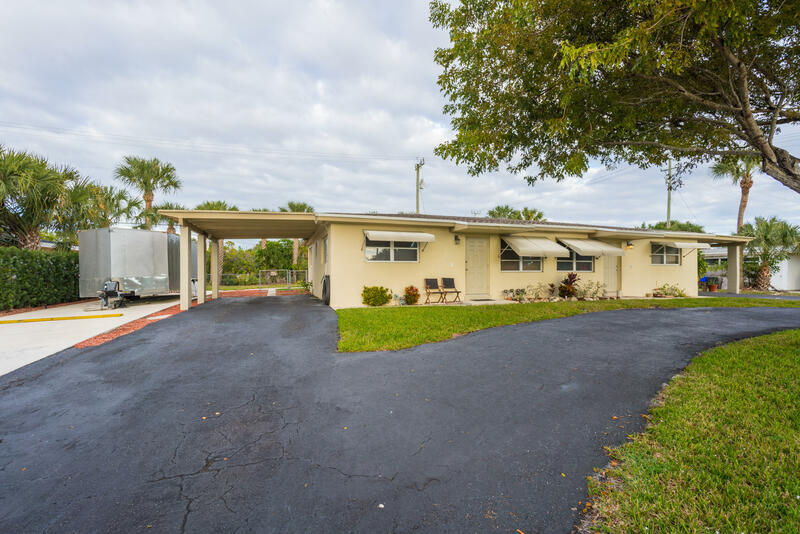 Unique opportunity to possess a duplex that sits on two parcels in Palm Beach Gardens! Extraordinary neighborhood strategically placed close Downtown PGA and the Gardens Mall, with close access to A1A and I95. Situated in an excellent school district! This Duplex offers 2 private carports for each unit and trailer parking on one side. A nice sized fenced in yard. Separate laundry for each unit, with brand new washers & dryers. Two new A/C units, a new roof with firewall and considerably more! Come see with your own eyes!! !